We reported in September 2015, the results of the Nagoya University muon scans of unit 2. These scans are less sensitive yet the main image in the report shows these scans were capable of finding a fuel mass. 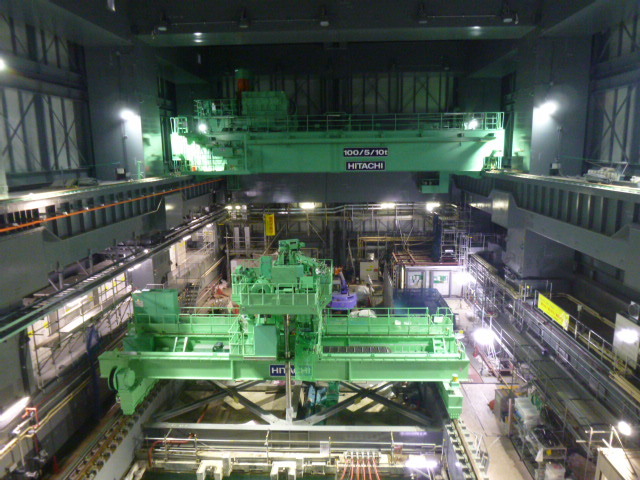 The reactor on the right is unit 5 at Fukushima Daiichi before they unloaded the fuel from the core. The left is scan of unit 2. This image shows the core clearly for unit 5 and no fuel of any sort in unit 2. In the newest report TEPCO claims almost all of the fuel for unit 2 fell to the bottom of the reactor vessel and stayed there. The Nagoya scans have lower resolution than the more recent scan but with the large volume of fuel TEPCO claims to have in the reactor vessel, those lower resolution scans would have easily picked it up. This raises more questions about the accuracy of the newest muon scan report from TEPCO and IRID.